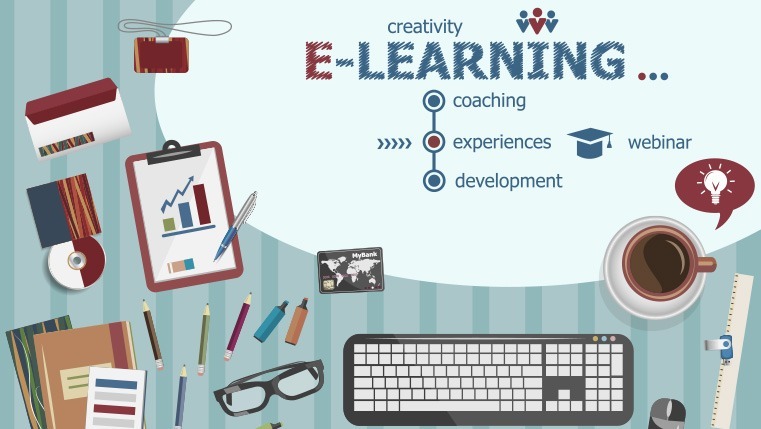 Elearning: A Substitute or Supplement for Classroom Training? With the growing popularity of e-learning, a much-debated topic is whether e-learning is a substitute or a supplement for classroom training. My answer to this question is, it can be both. Those who understand both media – classroom training and eLearning – may agree with me. E-learning can be used either as a substitute or a supplement; it depends on the situation. When Can eLearning be a Substitute? When the content is conducive for self-paced learning. E-learning or self-paced learning can take the place of classroom training if the content is conducive for self-paced learning. E-learning can be used for content which can be easily understood and sticks with the learner when delivered in the online format. Examples of this are compliance-based courses, software training, or technical skill-building courses. These online courses contain a number of videos allowing employees to pause, learn the concept, and apply the learning. This way, the learner is in control of his learning experience and is responsible for completely understanding the content, as the resources are under his control. When content needs regular updating. If the training has content that is regularly updated, then it makes sense to opt for e-learning, rather than classroom training. For instance, the content in product training undergoes regular updates when new products or services are added. E-learning can be the cost-effective way for training employees on these changes. Online learning keeps your sales and customer service personnel informed of the latest products or changes in the industry in real time, which can give them an edge over competition. For mandatory training. Mandatory training topics such as compliance training can be delivered as e-learning, rather than classroom training. Since such training is compulsory, online learning is a better alternative to make it more engaging by including games & interactive elements, and to roll out updates when policies/laws are changed. E-learning courses can be personalized to provide relevant information to different groups of learners at the same time. To offer continuous training. Industries such as retail have a high turnover, on a regular basis. This continuous churn calls for continuous training. Arranging classroom training sessions every time may not be feasible. E-learning is a better solution to provide continuous training; the training content needs to be developed only once and can be used as many times as needed. For training on processes and procedures. When training employees on processes and procedures, using e-learning makes sense more than classroom training does. Online learning is easier and consumes less time when you have to train employees on standard processes and procedures. Also, any changes in those processes can be disseminated to learners quickly. With e-learning, you can demonstrate multi-step processes or procedures easily. You have the option to use different strategies such as videos, simulations, or illustrations for impactful process training, rather than just telling your learners in a classroom session. 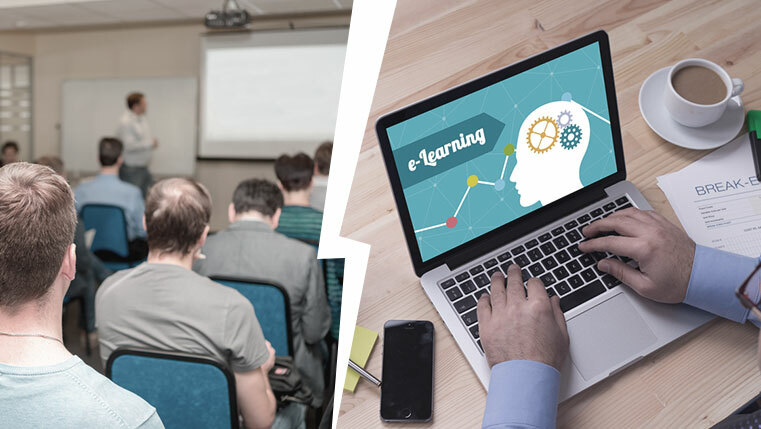 These are some situations where e-learning can be used as a sensible and more effective substitute for classroom training, with positive results. When Can E-learning be a Supplement? For pre-classroom training support. E-learning can supplement classroom training by providing pre-classroom support. Before a classroom session begins, the learner can go through an online module on a topic and then discuss the same in the classroom. For instance, if you want to teach employees about a new machine, you can provide them an e-learning module on its features and then teach the actual operation in the classroom. To offer reinforcement. Thanks to the ‘forgetting curve’, your learners tend to forget what was taught in the classroom session in a few days or weeks, unless this knowledge is reinforced. Once your employees get back to work after the training, they are likely to forget what they learned. E-learning is the best way to reinforce training. Online modules can be provided to them at regular intervals to reinforce what was taught. This can be in the form of microlearning modules or videos that will help learners review the learning. To provide performance support. E-learning can provide valuable support to your learners at the time of need. Suppose you have had classroom training on a product you are going to introduce to the market two months later, it would be unrealistic to expect your sales or service personnel to remember every detail about the product once it is in the market. This is why they require performance support in the form of microlearning modules, videos, or job-aids which they can access online on their mobile devices. These online sources can provide them the support to apply their skills or perform a task. For assessments. Post classroom sessions, e-learning can be a valuable resource to assess learners. Online assessments can test the learner, provide scores, and certifications. With an LMS, it will be possible to track learners’ performance, analyze their impact, and update courses as needed. E-learning can be both – a substitute and a supplement for classroom training. If you understand it well, you will know how to use it and get maximum returns. What do you think? Do share your views.